Safety is an important issue for the campus and the College is committed to maintaining a safe and healthy environment. All members of the campus community - students, faculty, and staff - should take an active role in preventing and reporting incidents that jeopardize safety on and around campus.  The information contained on these pages is intended to provide students and employees with a better understanding of measures that can be taken to encourage a safer campus environment. You will also find basic guidelines to follow when faced with various emergencies. Please review this information carefully. To review our annual security report, please click here. The information contained here is intended to provide students and employees with a better understanding of measures you should take in the event of an emergency on the campus. The link below to the Emergency Response Manual includes basic guidelines to follow when faced with various emergencies. Become familiar with this document so you are prepared. If the Switchboard or Library is closed call the Maintenance/Security Radio at 843-9608 or the Security Cell Phone at 510-7930. To submit a complaint or speak to someone about your options, office hours are generally M-F, 8 a.m. – 5 p.m. In the event that an individual does not feel safe walking alone at night, the College invites individuals to request college employees to accompany them. This includes maintenance staff who are generally on campus M-F until 11:00 p.m. Maintenance may be contacted at 231-843-9608. West Shore Community College also has various security cameras on campus grounds and in buildings. A. Employees will not bring any child with them when scheduled to work. Employees are not to ask others to take responsibility for their child while on campus. The employee’s supervisor, in order to meet an emergency situation can approve a temporary exception to this policy. Exceptions are also made for WSCC, YMCA or Mason-Lake ISD sponsored events or classes that specifically suggest bringing a child. However, under no circumstances are children on campus to be left unattended at any time. Employees are not to take responsibility for another employee’s child in the workplace. B. During non-work hours, a parent or guardian must accompany children under the age of 16 while on campus and then only if the employee’s supervisor has approved it in advance. C.	The learning environment of classrooms and labs should be free of distractions for students. Children must remain out of these areas. The employee’s supervisor in order to meet an emergency situation can approve a temporary exception to this policy. Campus Sexual Assault Resources can be viewed here. Sexual Assault and Sexual Abuse Resources can be viewed here. There are evacuation route and shelter area maps posted in the hallways of all WSCC buildings. Take time to review the map for your area, so you will know the best route to exit the building or to seek shelter inside during an emergency. During an emergency – walk and remain calm. Help persons with disabilities or notify emergency rescue personnel to assist a person with disabilities. - Be aware of pre-designated primary and alternate evacuations routes. - Leave buildings in an orderly manner. - Each employee is responsible to insure that their work area is secure as he/she evacuates. - This includes closing windows, verifying that all persons are out of an area and closing the door as he/she leaves. Do Not re-enter an area that has been evacuated. The closed door signals to all that space is secure. - Evacuate and proceed to assigned building (the links below detail the evacuation route for each building). Information regarding chemicals used on the College campus is maintained by Daniel Dellar, Safety Team Chair, at 231-843-5831. Material Safety Data Sheets (MSDS) can be obtained at the link below.